To me this looks like cover art for a shlocky sci-fi paperback. 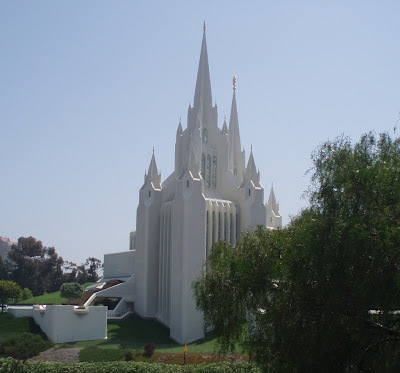 It's in fact the Mormon Temple, visible from many points on the freeway and in the shopping center parking lot opposite. Because it's behind a huge security fence, it is totally unapproachable. Too bad you didn't go inside the grounds. It's really spectacular and they are happy to show you around. Happy travels.